Suddenly every spare minute was taken up in the kitchen with the preserving pan. The Blaisdon Plums were our biggest crop, with Emma heroically creating over 100 jars of various plum based jams and chutneys for the storeroom. 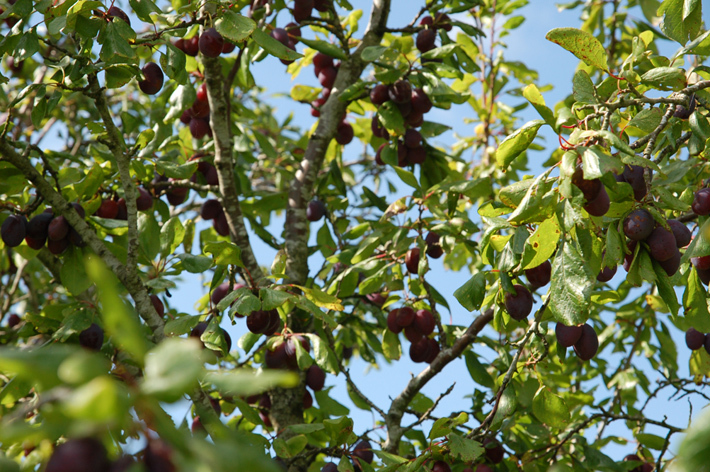 A small part of the Blaisdon Plum crop. 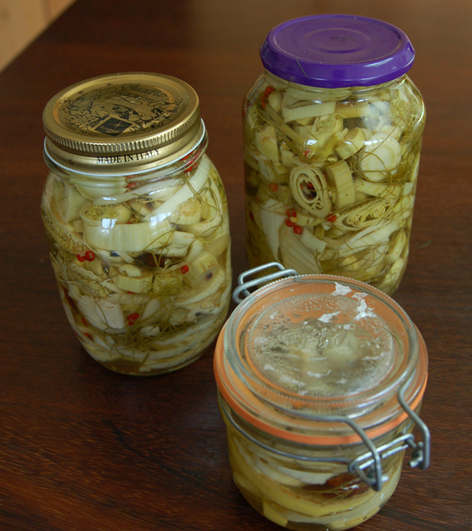 And having finally conquered the growing of Fennel last year, some of the first harvest from this year’s fennel bed was duly pickled. 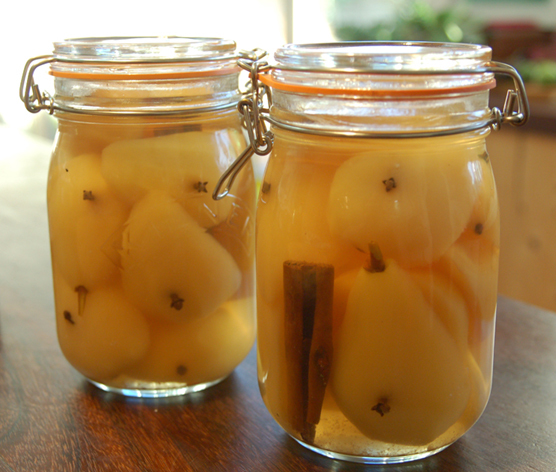 Then at the end of the month we added some jars of preserved mulled pears too. Another first, have finally freed our buried Pear Tree of the ivy and undergrowth chocking it earlier in the year. Similarly the winter clearance of some of the brambles and undergrowth around the old Walnut Tree has resulted in our first meaningful collection of walnuts, alongside a reasonable collection of hazelnuts foraged from the hedgerow on dog walks. 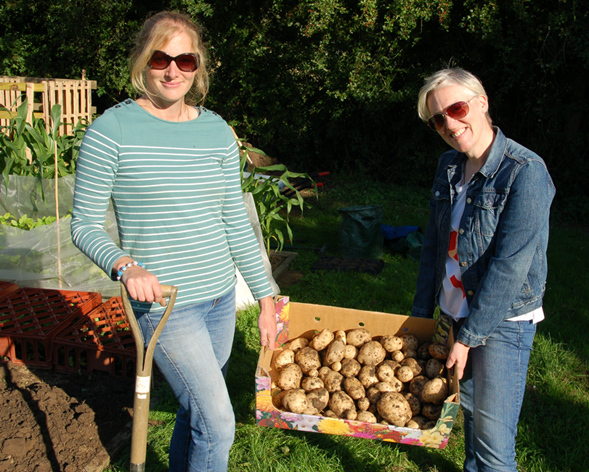 Meanwhile, with both the veg patch and flower borders in full bloom, our visiting friends, Amanda and Amanda, spent a sunny afternoon harvesting the potatoes. We also grew some monster radishes, and pulled our second set of onions. 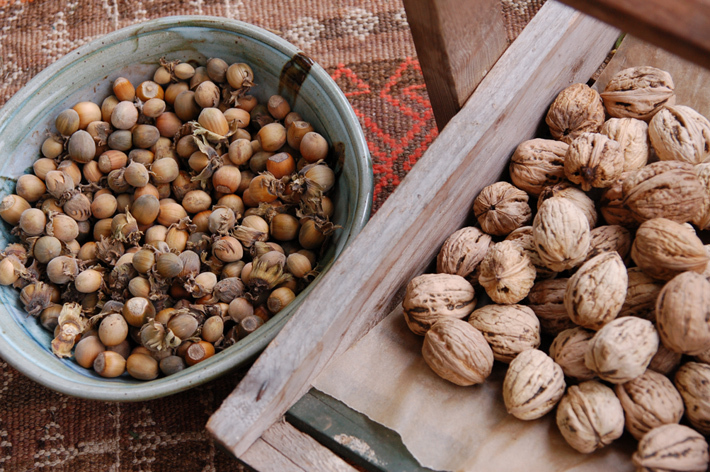 Harvesting Walnuts and Hazelnuts for the first time. Regular readers will know that this year we over wintered some white onions for the first time, giving us an early harvest. 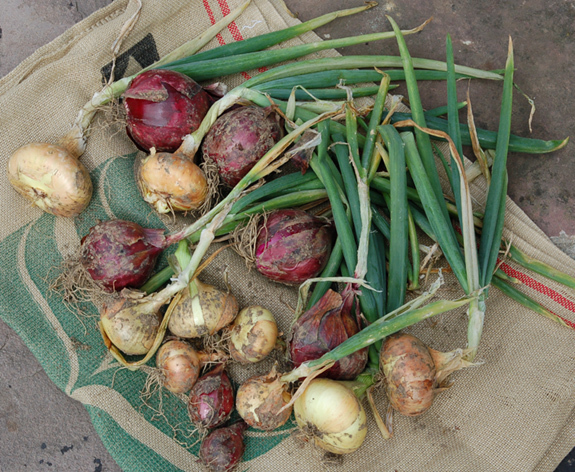 In August we harvested a second set of later red onions. Well, they were meant to be red, but as you can see in the photo, clearly not everyone got the memo! Artists Amanda and Amanda proved a dab hand potato harvesting too. 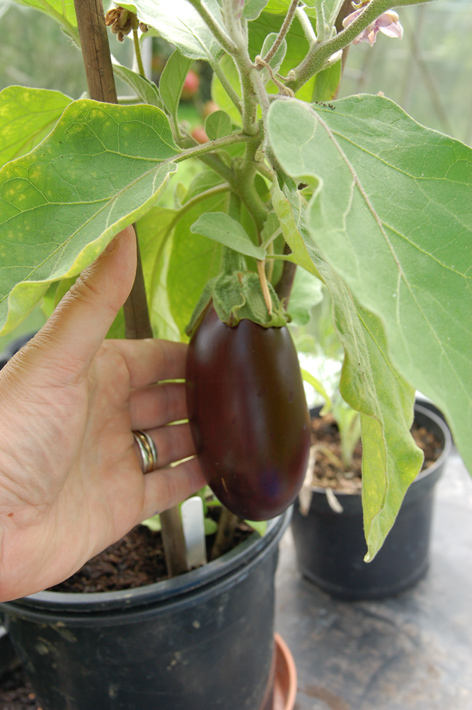 But perhaps our most exciting August news was the arrival of a solitary Aubergine, almost by chance. Again regular readers will know that the successful growing of aubergines has so far eluded us, and with the greenhouse still not repaired, we had put off another serious attempt until next year. But having spied two small aubergine plants being sold off late for 20p on a stall, Emma made the investment and duly popped them into a corner of the unglazed greenhouse to be forgotten about, and hey presto, we are aubergine virgins no more! The second (red) onion harvest – not everyone got the memo! 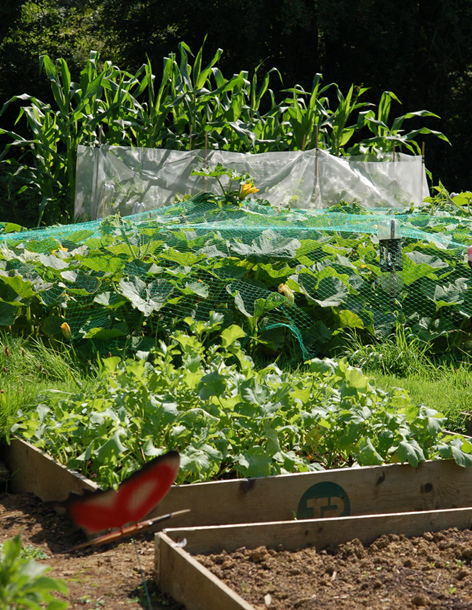 August’s view across the blooming veg patchs. 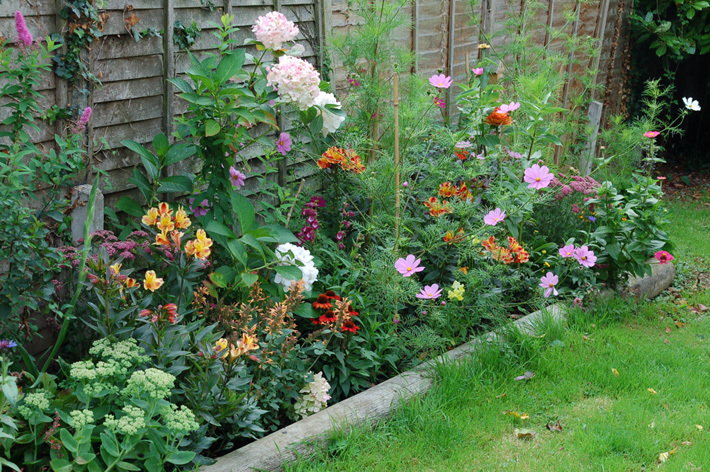 The flower borders in full bloom in August. 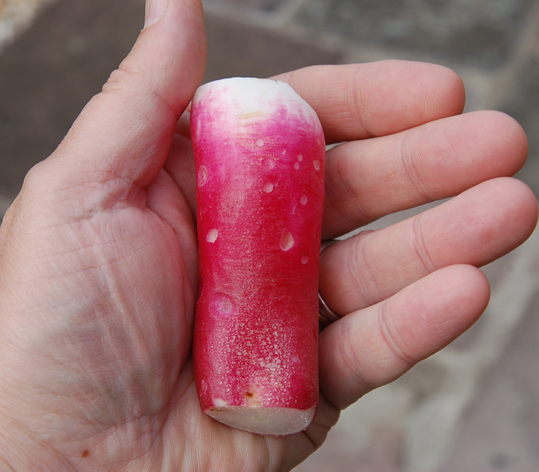 One of our monster radishes this year at The Secret Acre. This entry was posted in Garden, Greenhouse, Kitchen, Orchard and tagged apple, aubergine, August, Beauty of Bath, Blaisdon, chutney, Emma Alesworth, fennel, harvest, hazelnuts, jam, mulled, onions, Paul Rainger, pears, plums, potatoes, preserving, radishes, red onions, Smallholding, The Secret Acre, walnuts by paulrainger. Bookmark the permalink.